Based on consumer reviews and on what folks are saying who take a test drive, the 2015 Ram 1500 comes out on top in the light-duty full-size pickup segment. Ram trucks have been given some pretty big makeovers in the past few years and now compete quite favorably against models from Ford and Chevrolet. The 2015 Ram 1500 is still available in standard, extended, and crew cab configurations, and the diesel engine option delivers better fuel economy than any other similarly designed vehicle. Ram 1500 series trucks are noted for their rugged build, exceptional materials quality, and quiet ride. Although many consumers are satisfied with their choice of a GMC, Ford, Chevy, or import, most reviewers highly recommend taking a close look at the current Ram model options. The price is right, the safety scores are high, and the customer satisfaction level is stratospheric. The 2015 Ram 1500 standard, extended, and crew cabs have had very few modifications that set them apart from the previous year's models. The regular-sized cab Sport trim is now available as an R/T version, with larger 22-inch wheels, a 6-foot, 4-inch bed, limited-slip differential, and an enhanced stereo system. Some of the driver info software and viewscreen details have been adjusted slightly. Otherwise, it's the same pickup, available in the same colors as before. This option is what really sets the Ram 1500 apart from the competition. It is the only pickup in its segment offering a diesel engine. Available on all trims except Express and Sport, this 3.0L turbocharged "EcoDiesel" provides 240 horsepower and will save money on the road. Current estimates are 27 mpg on the highway. This version comes only with an 8-speed automatic transmission, but that is just fine with the overwhelming majority of buyers. For those who need more muscle under the hood, the 2015 Ram 1500 can be purchased with either the standard V6 or the ultra-powerful 5.7L V8. This larger engine is available on all trims except the HFE and is standard on the Sport, Laramie Longhorn, and Laramie Limited. The 8-speed automatic transmission on these versions is controlled by a rotary knob located on the central instrument panel. For those wanting the optional 4WD package, there is an available auto-shift option. The auto 4WD mode senses road conditions and kicks in the switch between 2- and 4-wheel power without the driver having to make the adjustment manually. Pickup trucks have come a long way over the past decade when it comes to interior design. More luxurious cabins are now the standard. However, the 2015 Ram 1500 offers one of the most elegant layouts in its segment. The base trims have very nicely arranged consoles and easy-to-reach intuitive controls. The crew cab boasts the most comfortable rear seats of any domestic pickup truck. The mid-level trims come with a 5-inch touchscreen, satellite radio, and Bluetooth/audio connectivity. The uplevel trims can be purchased with a larger, 8.4-inch viewscreen with touch controls. The 2015 Ram 1500 rides very quietly and responds well to sharp turns of the steering wheel. The coil-spring suspension is very sensitive and makes for enjoyable off-road travel. The available air suspension is worth taking a close look at. This suspension system allows the driver to drop the vehicle two inches with a simple flip of a switch. This makes stepping in and out of the truck a bit easier and also makes liftover of items into the bed a more agreeable task. This is a very nicely appointed exterior for the price paid. The Sport Trim features dual exhaust, power-folding mirrors with puddle lamps, projector-style headlights, and LED taillights. Drivers will fall in love with the headlight smoked lenses as well as the LED accents and integrated turn signals. The Outdoorsman trim option has a few extra niceties that make for enjoyable off-road driving. These include fender flares, underbody skid plates, and all-terrain tires. Tow hooks are also included. This version also has a larger fuel tank and the "RamBox" weatherproof bedside bins. In government tests, the 2015 Ram 1500 scored four stars out of a possible five for overall safety, but earned five stars in side-impact crash testing. The stopping distance for the larger crew cab trims averages about 135 feet, remarkable considering the extra weight on these versions. 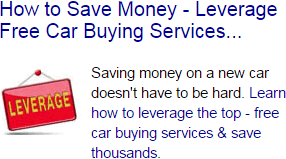 The fuel savings are impressive, but many buyers will feel the upfront cost is not worth it. 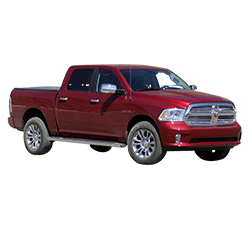 The driver information center and audio system on the Ram 1500 please many who choose this model, but those seeking the most advanced safety systems such as driver alerts can find these as standard equipment on some of the competing models. The base trim regular and extended cab are priced lower than most other light-duty pickups, but the Outdoorsman, Laramie options, and Sport trims are more expensive than what most folks want to pay for. In terms of interior design and available configurations, the 2015 Ram 1500 can't be beat. The closest relatives are the Chevy Silverado, Ford F-150, and Toyota Tundra. All of these models offer about the same gas mileage - except when compared to the Ram 1500 diesel version - and have similarly designed exteriors. However, they cannot match Ram's interior materials quality, and most of the competing models do not offer a choice of suspension system or a truly off-road variant. Drivers will either stick with a make and model or decide it's time to make a change. Long considered an also-ran when compared to Ford or Chevrolet, Ram trucks - especially the 1500 series - are now getting all of the glowing reviews from owners. This is a fine pick if the most important considerations are comfort, elegance, quiet ride, and base price.